White City is undergoing an £8 billion decade-long regeneration, and with that comes the redevelopment of the Television Centre (TVC). 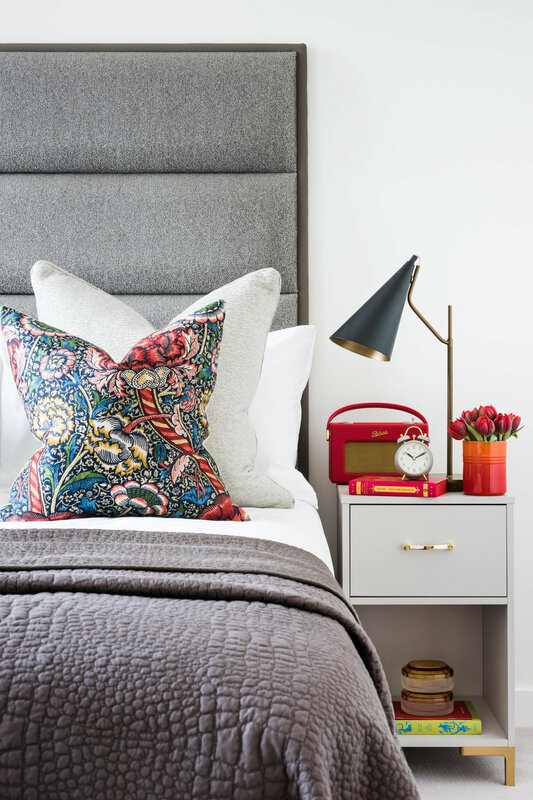 Naturally, we were in on the action, commissioned by Stanhope Plc to create exclusive one-bed and two-bed furniture collections which are available to owner occupiers and investors as part of our design-led turnkey solution. As you know, we take pride in selecting handcrafted and high-quality furniture, which is why we offer a 5 year guarantee on all of our products. Without compromising on the quality of furniture pieces for our TVC schemes, our buying team worked collectively with our interior designers to ensure the furniture collections reflected the vibrant, urban quarter which White City has bloomed into following its regeneration. In order to do this, our buyers selected bespoke furniture pieces incorporating all the current trends collected from the latest design shows while ensuring each piece is practical for everyday living, tailored for the imagined homeowner. Collaboration is key, that’s why we teamed up with experienced UK-based makers to produce these exclusive bespoke bedside cabinets. On trend with a pastel palette and contrasting brass details, these cabinets were thoughtfully crafted with metal runners on the drawers ensuring longevity and durability. We’ve combined form and function which is an ever important factor when sourcing for the rental market. Upholstery is one of the key areas that we focus on when curating furniture, our exclusive collections are made by experienced craftspeople in the UK’s prestigious upholstery hub. The frames are built with a lifetime guarantee and top-quality foam ensuring these sofa’s will stand the test of time, well over our standard 5 year guarantee that is offered on all of our pieces. You'll also find layered textures within our upholstery pieces, in a mix of materials accentuated in a variety of colours adding dimension and playful vibes to our schemes. Iconic, bold and handcrafted, a Roberts Radio couldn't be more fitting for our TVC schemes. They are the perfect way to inject a pop of colour and dimension into any home. The classic 1950s styling of the radio instantly transfers retro vibes to our scheme and accentuates the detailing of furniture pieces. Adding texture and pattern is one of the principal finishing touches for any space; these beautiful handwoven rugs designed exclusively for this scheme not only compliment the neutral flooring but also add warmth and a homely feel. Our perfectly padded headboards are exclusively handmade for BoxNine7 by our trusty upholsterers in the English countryside. The headboard is not just an additional feature for the bed. 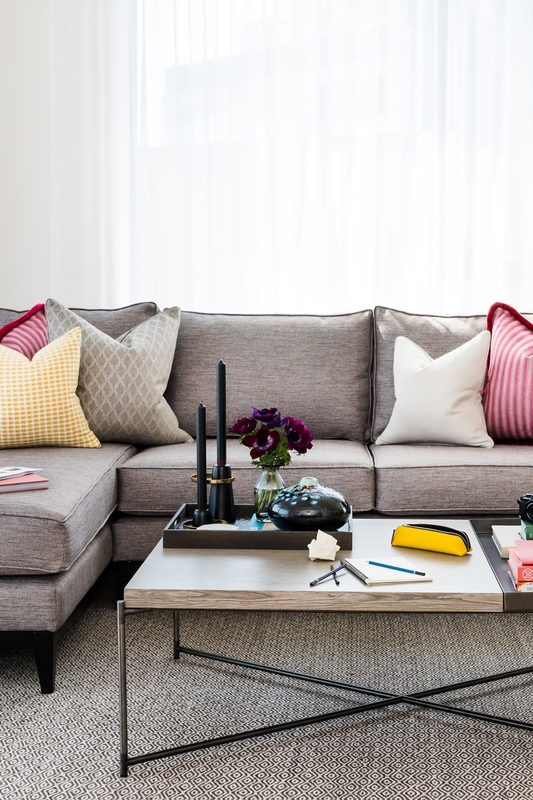 We consider the height, thickness and padding style for eternal comfort, while adding a subtle pattern which doesn't overpower, but compliments the cushions that rest in front of them. Did you know, our headboards come in a variety of fabrics too? To find out more about our exclusive furniture collections, please get in touch with our expert team today to find the best solution for you.